Underwater Therapy: Can Total Underwater Immersion Promote Transformation? Can Total Underwater Immersion Promote Transformation? Born and raised in Tokyo, Japan, Erena Shimoda received her Divemaster certificate in Venezuela in 2005, and began shooting underwater photographs in Thailand, Bonaire, Bahama, Corsica, Cozumel, Cancun, and Hawaii. She pioneered underwater immersion therapy after surviving a car accident in which she lost her father and was severely injured. As a part of her healing process, she put her photography expertise to action as a volunteer for the American Cancer Society's Look Good Feel Better program. The program is for cancer patients to reassure there is beauty during and after cancer. 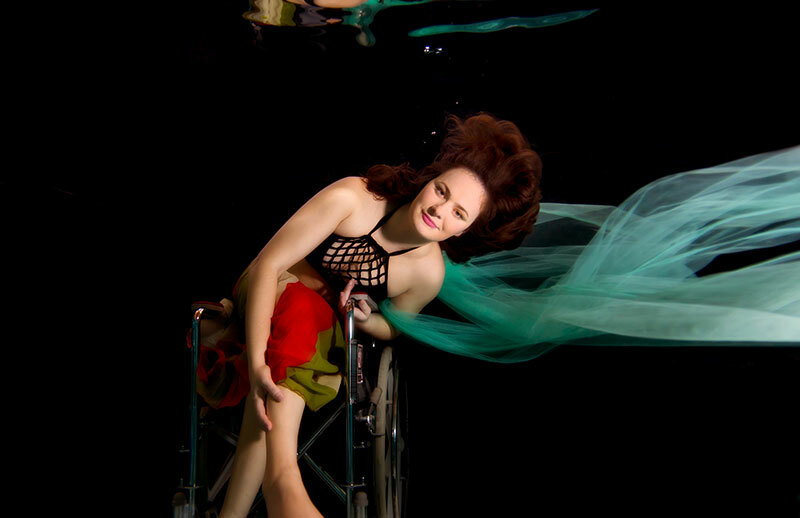 The transformative effects of her portraits on cancer patients prompted Erena to also use her experience in underwater photography to promote recovery. Cancer survivors experience the healing effects of being submerged in water and feel beautiful about themselves when they see the resulting portraits. 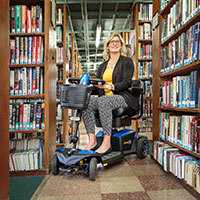 By combining total immersion with portrait photography, she discovered a powerful therapy that can help others who are traumatized by physical disabilities, domestic violence and PTSD. She feels that the power of water combined with the creative process heals body and mind. 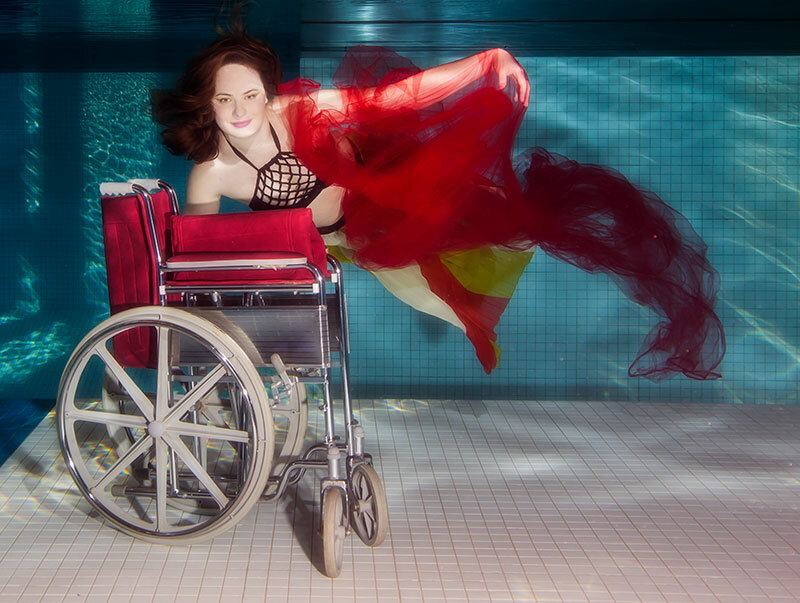 Following are the personal accounts of three women with disabilities who have experienced underwater transformation first-hand. My passion is still dance and I am a co-founder of the Rollettes dance team. I firmly believe that people should never give up on their own dreams because anything is possible! Working with Erena was very comforting. I have never been able to swim under the water without plugging my nose but when I worked with Erena, I was able to sink without doing that. And I could even open my eyes!! She was very patient. She explained how to pose in the water in different directions which it helped me find my own comfort zone. I feel like I've overcame a fear of mine! To me, water means freedom. After the photo shoot, I actually ended up taking a nap! When I woke up, I felt completely rejuvenated! I definitely recommend this to other survivors because it's an experience that makes you feel calm and free. You realized that you can physically do a lot more underwater than on land which I think is good for the mind, body and soul. The Underwater Immersion Project is such a beautiful way for people to get out of their comfort zone and feel free. Two years ago, on vacation at Lake Tahoe, I accidentally fell off the pier onto hard-packed wet sand and broke my spine instantly, becoming a T-10 paraplegic. I have participated in other photography projects but never underwater. I was excited for the opportunity to be a part of a special, once-in-a-lifetime experience. Water and photography, how amazing is that? The feeling was great, unique and definitely fulfilling. After the photo shoot, I was very tired but overwhelmed with a feeling of accomplishment. In looking at my pictures now, I can totally say that water transforms the outlook to your injury and abilities. Water is me, it's my elementary, it's my power, relaxation and energy. Can't live without water. Water is my passion, I love to swim…it's just one of my favorite things in life. I used to swim a lot before my injury and I was a part of Olympic school in Russia for about 6 years. I swim after my accident too…it's different type of swimming and requires different skills. Yet, when I am in water it feels like you have no injury at all…especially when I am in the ocean. I think water has its healing properties, a force that washes away all your worries. My life changed five years ago at the age of 17, I fell three stories from my apartment bedroom window. I wanted to be involved in Underwater Immersion Project because the water was part of my healing element when I left rehab. I got into aqua therapy and realized that I could move my legs underwater when they're held down by weights. Swimming is what came easiest to me after my injury. I was able to swim like I used to, I was able to do flips and laps underwater like nothing had really changed. I love that it's one thing I could do without my chair because I don't need it in the water like I do on land. It gives me more of a sense of independence and form of freedom. My experience with underwater healing was different than expected. Being under and hearing the sounds underwater was therapeutic and I felt relaxed. Water to me means freedom—freedom to move without the force of gravity holding you down and stopping you. Underwater immersion therapy dis a chance for spinal cord injury survivors to be out of our wheelchairs and experience the freedom that water allows us to have. She's been a guest lecturer at the City College of San Francisco Photography Department, and her underwater immersion project has received widespread media attention, including coverage by NBC Bay Area, CBS News, USA Today, and the Huffington Post. This year, her work was on display at a medical conference. 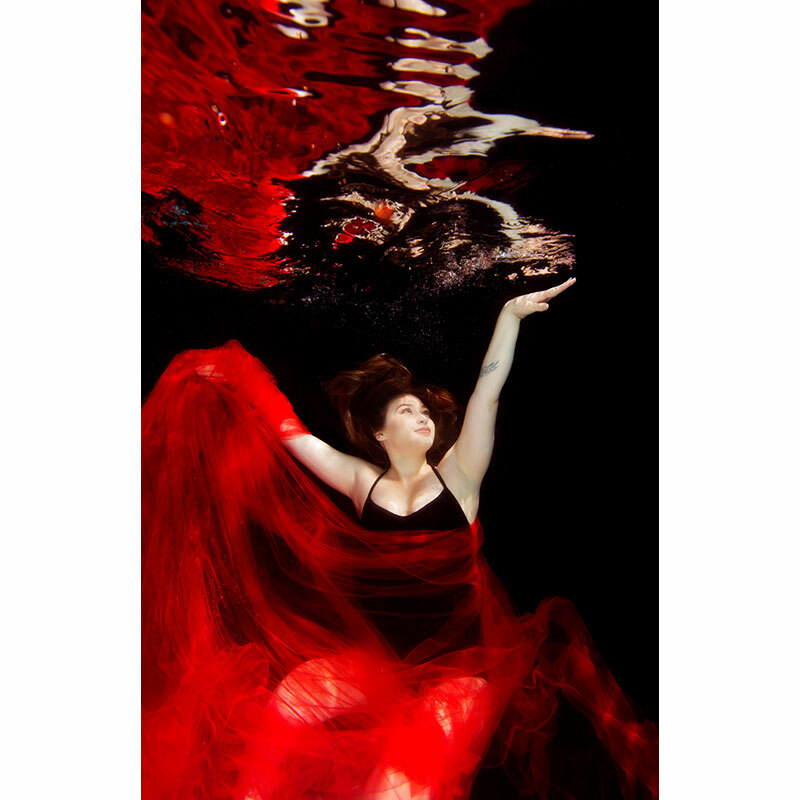 She specializes in underwater portrait photography and uses her background in New Media and Fine Art to create unique compositions in different media. Learn more at http://underwaterhealer.com.